Mestemacher is a producer of bread and baked goods supplying the classic retail grocery trade in Germany and abroad with pre-packaged Vollkornbrot - German-style dark wholegrain bread - and international speciality breads. 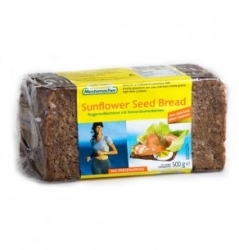 These products give Mestemacher a presence in a part of the whole bread and baked goods market. 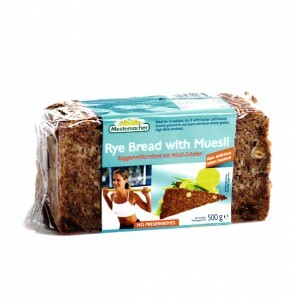 The range is aimed at potential consumers looking for speciality breads which are different from the conventional range of pre-packaged breads and baked goods. 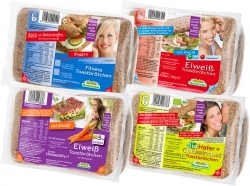 Mestemacher has been active in Germany for many years with numerous social projects promoting the equality of men and women in society and a work-life balance on the Scandinavian model. These two sides of the same coin work together to strengthen the image of Mestemacher with relevant customer groups and, importantly, provide a boost to the increase in sales and market share. 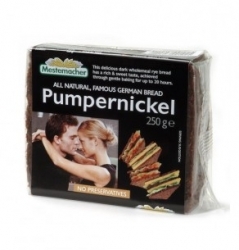 Description: From a classic German Pumpernickel, baked to a traditional recipe since 1871. 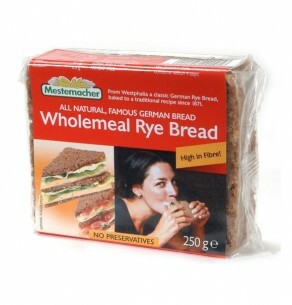 Ideal for a cheese snack. Description: Rye whole meal bread with cereals. 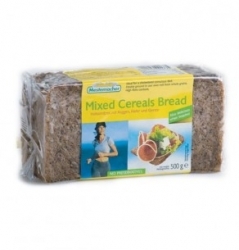 Ideal for breakfast. Try it with butter and honey. Freshly ground in our own mill from whole grains. 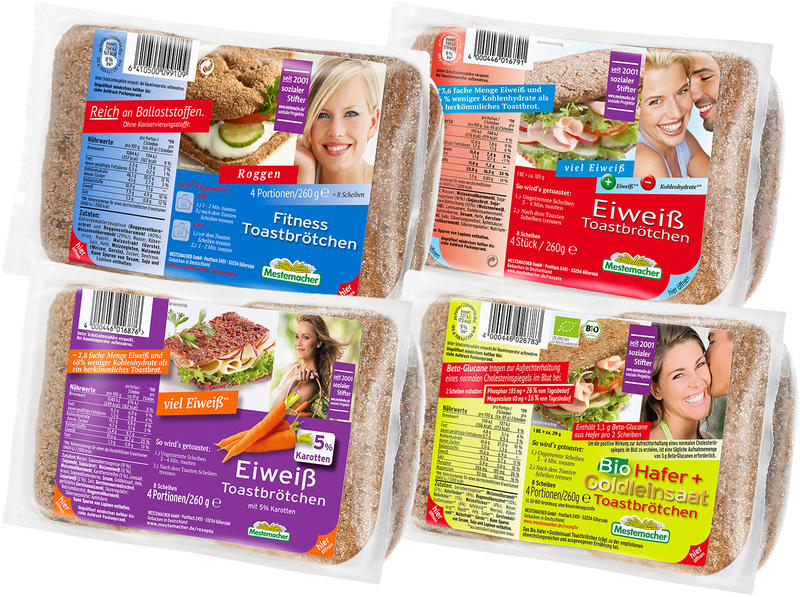 High fiber content. 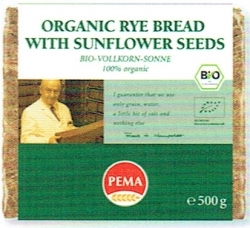 Description: From a classic German Rye Bread, baked to a traditional recipe since 1871. Ideal for breakfast or as a little snack. No preservatives.